Windows 10 Spring Creators Update available to Insiders brings a host of new features across two separate versions. Microsoft continues tracking efforts for its operating system as a service. We take stock of all the novelties introduced. The Windows 10 Spring Creators Update available to Insiders brings a host of new features across two separate versions. Microsoft continues tracking efforts for its operating system as a service. We take stock of all the novelties introduced. The pace of new updates for Windows 10 does not slow down. Microsoft has set a goal to provide a new one every 6 months. Next spring, users will be able to experience the new update, Spring Creators Update , which will be deployed to everyone once the test period is over. For the moment, it is only the participants of the preliminary versions, the Insiders, who can access it. Let's take a look at the latest novelties introduced. The Windows timeline is a kind of history of the session, which will find his work over a period of 30 days. It will be possible to see the history of all the applications that have been launched, with the option of restoring a job. Thus, in case of data loss or file overwriting, it will be possible to recover an old version of his work. Initially, only Microsoft Edge and Office applications, such as Excel, Word, and Powerpoint, will be affected by this feature. The Microsoft Internet browser will have fixes to make it more stable, but also new features. This way, he / she will be able to automatically fill in the online form fields with your data, surname, first name, address, telephone number, etc. Another interesting addition, the browser will cut the sound of a tab, without mute the others. Finally, it will also allow you to save books in EPUB format. The upcoming update includes this new wizard that will manage the availability schedule to receive notifications. This tool determines the receipt of notifications according to three criteria: all, only priority and none. But it adds to this management a criterion of schedule and activity in progress. After the update, ended the notifications during the movies! And not to miss anything, the Focus Wizard will present a summary of the notifications while it was in sleep mode. Coupled with the free Diagnostic Data Viewer application , a new tool will allow you to see all the information that is transmitted to Microsoft from your device. But above all, the application will erase all transmitted telemetry data. 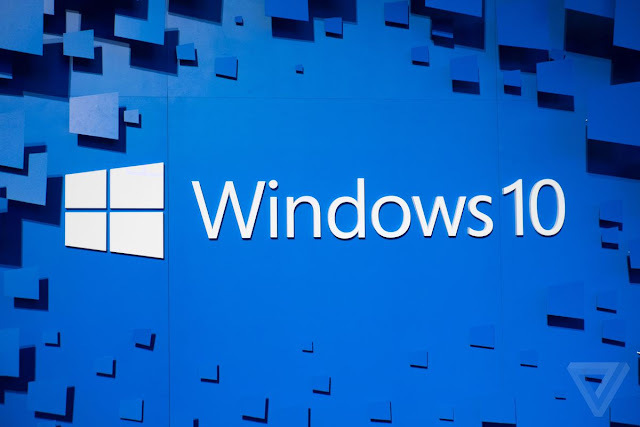 Microsoft is also taking the opportunity to enhance the security of Windows 10 and is actively preparing the end of passwords . The giant proposes for example Microsoft Authenticator available on Android and iOS via an application adding to the facial recognition or a PIN code. It will have to wait several weeks before landing the news announced by the giant in final version.